Quiet day today at work, I remembered to take a photo, even if it’s quite unexciting! 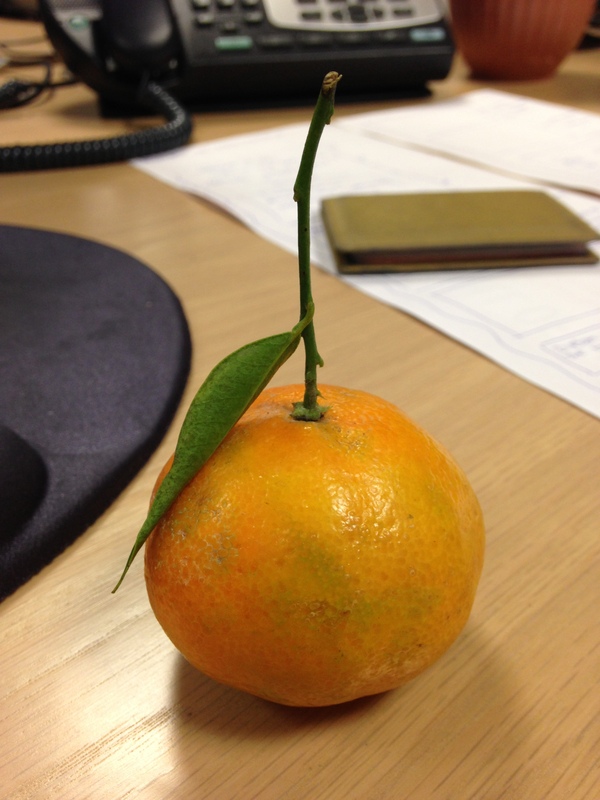 In work, we get free fruit, the oranges always get snapped up but my friend gave me one of hers, score! I’m a sucker for a clementine with a stalk, so cute.